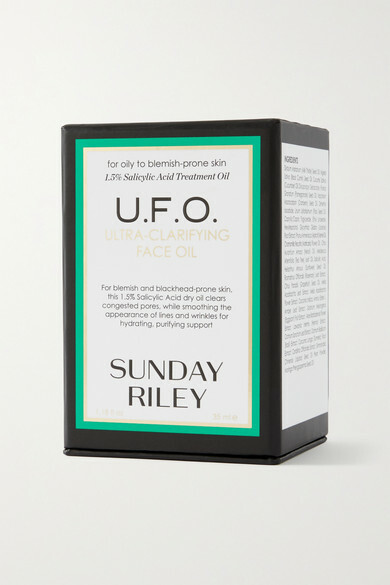 Blended with 1.5 percent Salicylic Acid, Sunday Riley's quick-absorbing 'U.F.O.' 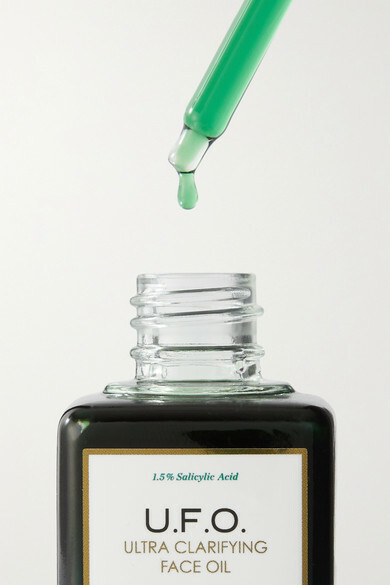 face oil is the key to clear, blemish-free skin. Formulated with purifying Black Cumin Seed Oil, it has a potent blend of Hexylresorcinol and Licorice Root to naturally brighten hyper-pigmentation. Milk Thistle and Cucumber Seed Oil smooth the appearance of fine lines and wrinkles.